Selling horses can be a lucrative business when all legalities are in check. Much like any other business in which you sell expensive merchandise, there can be plenty of pitfalls that you may have to navigate. Knowing equine law, getting everything in writing, and doing your homework are just some ways you can make sure that the sale goes in your favor. Just like buying a car, when someone is buying a horse from you, chances are that horse is coming with somewhat of a history. Whether it’s good or bad, you should be upfront with any past medical conditions or injuries that may be of interest. Has the horse had any bowed tendons in the recent past? Did it test positive for Lyme disease? These are things that you should disclose to a potential buyer to avoid legal repercussions later on. A good buyer will do his or her own homework, but you want to make sure that you don’t come off unprofessionally, which can create a bad reputation or your name as a seller. If you’ve been the current owner, you’re probably more familiar with your horse than anyone else. That doesn’t mean that you should take for granted that you can answer all the questions a buyer might have without doing a little digging. Medical histories and Coggins reports are a given, but you should also find out as much you can concerning buyer history and breeding. The more information you can find out about the horse, the more likely you sell the horse at a higher price. Like any other transaction of this size, you cannot be too careful and there’s nothing more infallible than a signed document. Every step of the purchase process should be backed up with some sort of document, protecting yourself and the horse. From trial periods to pre-purchase exams, every single step that is taken needs to be documented in writing. 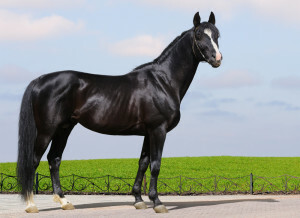 Contact Catanese & Wells for more information on the legalities of selling a horse.